For apartment managers, owners, and developers, the right property amenities are critically important to attracting residents. Residents usually know where they want to live and what they can afford, so final decisions are made on other factors. Chief among those factors are property amenities. The challenging part for apartment managers? Different amenities appeal to different people. A fitness buff might select a property for its exercise room. Meanwhile, someone who works from home might choose a property because of nice co-working spaces. While this example highlights specific cases, these scenarios play out regularly. This is why choosing the right amenities is a challenging task. Very few properties offer everything, so how do you choose what to offer? Our 2019 Apartment Amenity Guide was built to answer this question. Keep reading for a detailed breakdown of the top apartment amenities for 2019. Nationally, the number of people working remotely is growing year over year. As a result, apartment amenities catering to the the modern tele-worker are becoming increasingly popular. Incorporating these amenities into new developments or property renovations in 2019 is a must. The best way to offer this amenity is with dedicated space. This could be mean a co-working area with permanent workstations or a public conference room that can be booked for meetings. 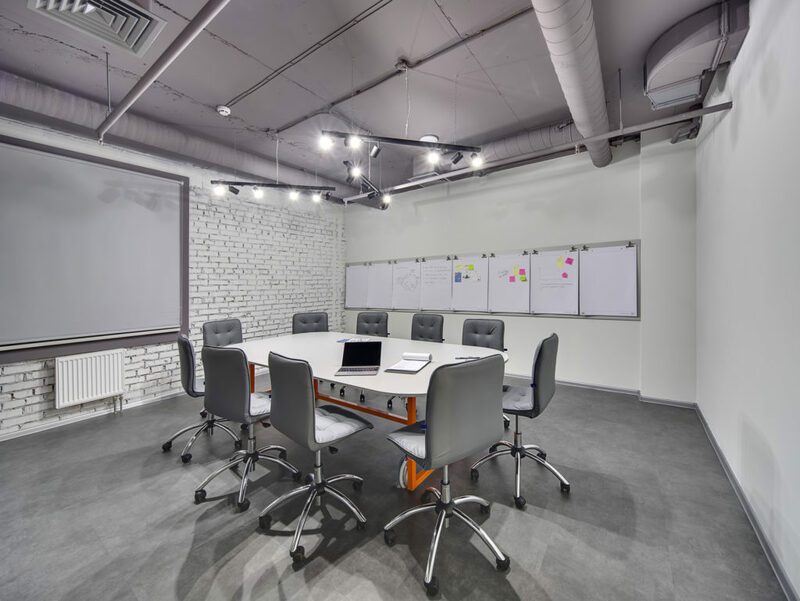 According to the COO of MAA, Tood Grimes, catering to tele-workers means “having quiet, common, and connected areas where residents can work, have meetings, or just emails“. One bonus selling point of a co-working space is that residents can cancel memberships at nearby co-working offices. On top of these remote working amenities, leasing offices could consider free gifts for any tele-worker who signs or renews a lease. Tele-work gifts could include a webcam for video conferencing, a standing desk, or even something as simple as a new mouse pad. A state of the art fitness room is a top apartment amenity that appeals to a wide range of renters. This is especially true at urban properties catering to millennial renters. This particular demographic covet amenities that lower cost of living. With monthly gym membership prices exceeding $100 in certain cities, a great fitness room can be a huge selling point. Here are a few ways to make a fitness room more appealing to potential residents. While Peloton is the most popular and widely known type of live streaming workout equipment, there are other options to consider. This includes both exercise bikes and treadmills and is important because Peloton bikes can cost well over $2,000 each! Want a fitness amenity that will really blow renters away? Consider installing a Peloton bike room. 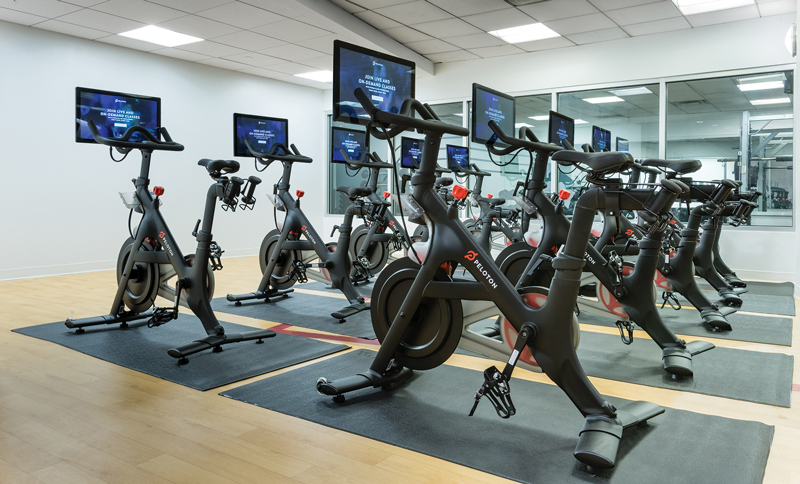 Pictured above, these exercise bikes live stream workout classes to large displays on each bike. Classes are on demand, so residents can attend a professionally instructed class any time. Fitness classes such as yoga, Pilates, and kickboxing are wildly popular. One way to make a dull fitness center more appealing is having on-site fitness classes. Surprisingly, this can be fairly easy to facilitate. Property managers can contact local trainers and instructors about running a class at the property one or two days per week. At the same time, the classes can be marketed to residents. Residents pay instructors for the classes directly, so there is actually no cost to the property management office to add this fitness perk. Worldwide, more packages are being delivered than ever before, including deliveries to apartment buildings. As a result, a delivery locker is top apartment amenity for 2019. Instead of packages being left in mail rooms or outside doors, a delivery locker securely stores packages. When residents are ready to pick up their package, they use a unique code to open the locker and retrieve their package. Residents love them because they provide peace of mind, flexibility, and convenience. Although there are many types of delivery lockers available, Amazon Hubs come highly recommended. They offer easy integration with Amazon Prime accounts and accept deliveries from all major carriers. Additionally, they hold up to 90% of all package sizes. They cost between $10,000 and $20,000 installed with no additional subscription costs. 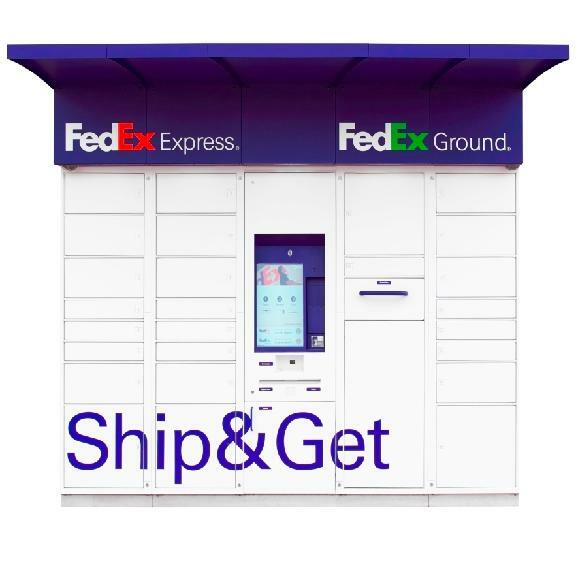 Other popular delivery locker systems include FedEx Ship&Get, Luxer One, and Parcel Pending. One reason to consider the FedEx Ship&Get system is the appeal of its outbound mail functions to remote workers. Another cool package handling solution, for properties where a delivery locker is not an option, is a virtual doorman. A virtual doorman securely receives packages by video chatting with delivery drivers and remotely unlocking doors so packages can be placed inside a property. In addition to handling deliveries, there are numerous additional benefits of virtual doormen, including many safety features. A virtual doorman can open doors for locked out residents, provide entry to vendors only during scheduled times, and even alert law enforcement of suspicious entry attempts. While residents see this as a great amenity, it also reduces headaches for the property management office. Residents no longer have to contact the office for delivery updates or pickup packages during certain hours. This is because delivery lockers provide automatic updates and 24 hour access. As a result , investing in a a delivery locker is a win for both residents and property managers. A key theme of our 2019 Apartment Amenity Guide is highlighting ways properties can provide a lifestyle, which is why the next trend is all about outdoor living spaces. Amenities that provide ways to utilize outdoor spaces and give residents additional areas to entertain guests are a huge draw. 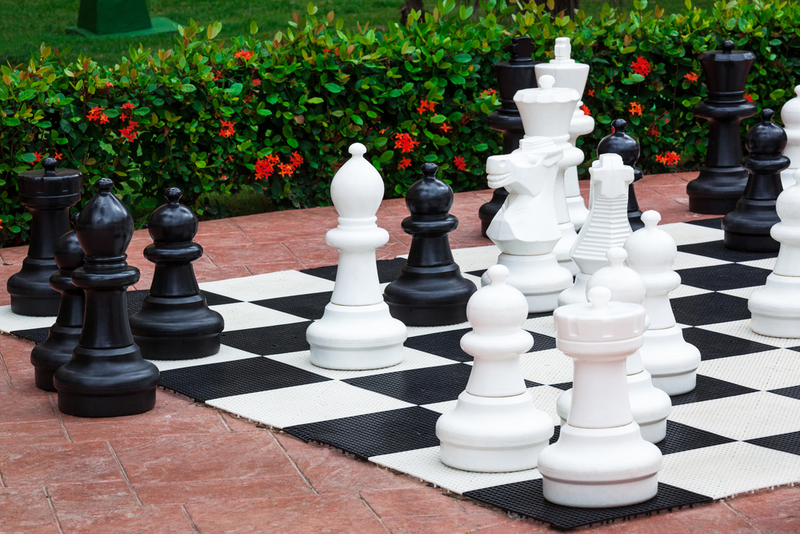 Here are some great ways any way property can utilize their outdoor spaces. An outdoor kitchen or BBQ area, especially on rooftops in urban settings, are an awesome amenity to consider in 2019. They provide outdoor entertaining spaces and increased functionality to any property, which both resonate strongly with renters. Combined with some cool lawn games, residents can host an awesome summer BBQ, which is pretty cool or someone who lives in an apartment. A high end outdoor kitchen and BBQ area is a great amenity at any property. Unfortunately, an upscale can be both cost and space prohibitive. As a result properties should consider adding a few propane or charcoal grills for resident use. This is an especially awesome amenity at properties that do not allow grills on balconies, as many people enjoy grilling. All four of these games can be ordered on Amazon for less than $100, have minimal setup involved, and can even be used indoors at properties lacking any outdoor spaces. Another awesome amenity for 2019 is offering unique experiences at your property. This is another amenity with huge appeal to millennial renters, who really value experiences over other types of purchases. For property managers, this is another affordable amenity that can even potentially be offered at no cost. Here are a couple awesome ways property managers can offer experiences as an apartment amenity in 2019. 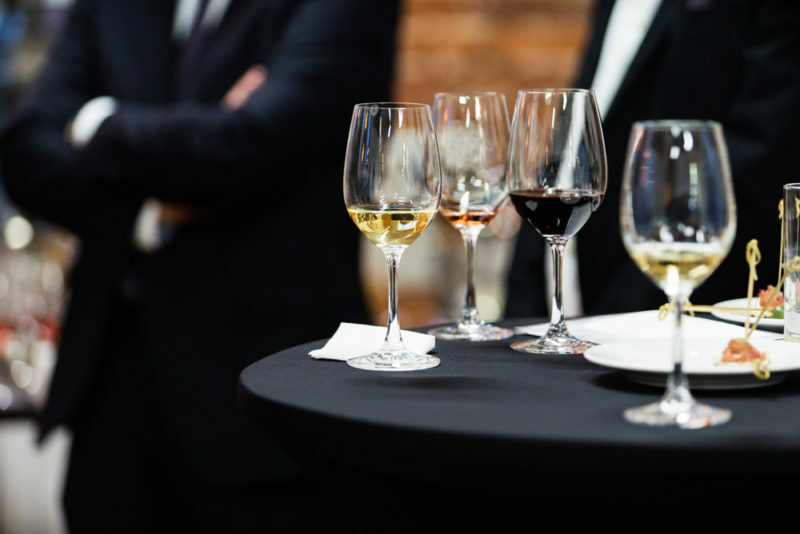 Hosting these types of event nights can be as simple as partnering with local businesses to host them in exchange for free marketing to residents. It is also totally acceptable to ask residents to pay for certain events, as long as free events are also provided throughout the year. While community parties are nothing new, they are still a great way to increase community involvement and provide experiences at your property in 2019. One way to make them more fun is to break from the normal routines of parties around holidays. Pet-friendly communities could explore having a pet fashion show as unique party idea. Rather than having a Halloween party, consider a short parade with awards for the best costumes. What other amenities should be included in our 2019 Apartment Amenity Guide? Send us an email letting us know what we missed and we will add the best amenities to this list. Need help finding a contractor or vendor for a project inspired by our 2019 Apartment Amenity Guide? Property managers can use BidSource to have our team find a contractor ready to assist with your next project. Share your project details using the form below and our team will be in touch with a qualified contractor!